When that unmistakable scent of our freshly baked gingerbread men floats into the air, you won’t be able to stop your tummy rumbling until you have one! Indulge your taste buds in the sweet, zingy warmth of ginger and that lovely biscuit crunch. These cheerfully decorated bakes of deliciousness are the perfect addition to any party for smiles all round! 8 gingerbread men individually wrapped in cellophane and placed in a tin, wrapped in brown gingham fabric and secured with a chocolate brown bow. Who can resist that unmistakable fragrance of freshly baked gingerbread when it wafts through the air? 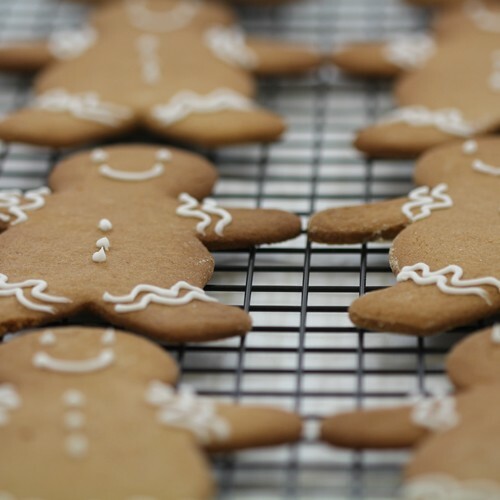 Treat your little ones (or your big ones) to a delicious tray of our fabulous gingerbread men. The perfect festive treat for Christmas or a delicious addition to any birthday party, these tasty little guys will disappear fast wherever they are. 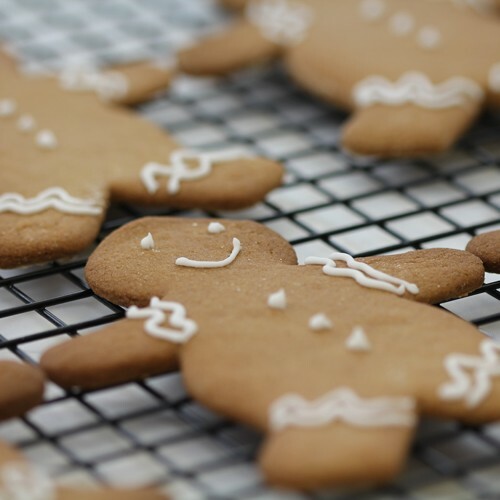 We’ve spent a long time perfecting our recipe so that these yummy treats have just the right balance of biscuity sweetness, the delightful warmth of ginger and that classic gingerbread texture that will transport you right back to childhood at the first bite! Sent by first class post (delivery date estimated only) or by courier for larger quantities.